Heated Seats, Navigation, Remote Engine Start, Dual Zone A/C, Back-Up Camera, CD Player. Premium trim. EPA 29 MPG Hwy/21 MPG City! SEE MORE! Navigation, Heated Driver Seat, Heated Rear Seat, Back-Up Camera, Turbocharged, Satellite Radio, iPod/MP3 Input, CD Player, Onboard Communications System, Remote Engine Start, Dual Zone A/C, Heated Seats MP3 Player, Keyless Entry, Steering Wheel Controls, Rollover Protection System, Electronic Stability Control. Edmunds.com's review says "Noise insulation is good for a convertible, with the soft top doing a good job of keeping out the sound of traffic.". Hello, I would like more information about the 2018 Buick Cascada, stock# BU2437. Hello, I would like to see more pictures of the 2018 Buick Cascada, stock# BU2437. 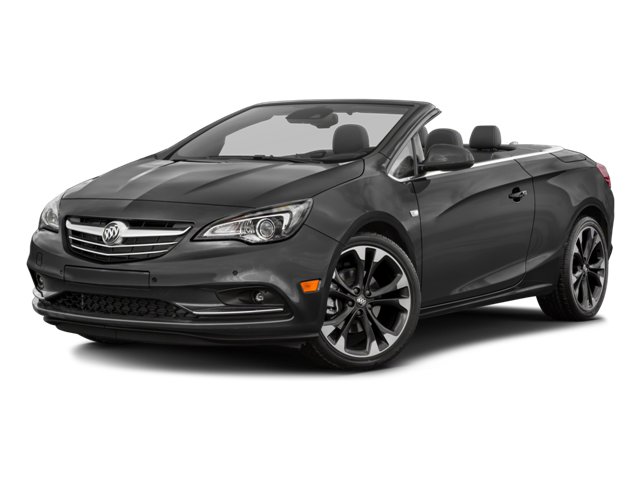 Ready to drive this 2018 Buick Cascada? Let us know below when you are coming in, and we'll get it ready for you.